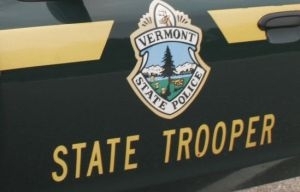 The State Police may be the most recognizable law enforcement officers in Vermont, but there’s also the Department of Motor Vehicles, fish and wildlife wardens, and liquor control. Last year the Legislature asked an independent consultant to examine the efficiency of law enforcement, and the recommendations focus on consolidating law enforcement under the Department of Public Safety. Public Safety Commissioner Tom Tremblay gives us his reaction to the proposal, and we talk with Kym Craven of the Public Safety Strategies Group, which made the recommendations after an extensive study of Vermont law enforcement. Also in the program, voters in Vermont’s bigger cities are considering their choices in mayoral races that will be decided Tuesday on Town Meeting Day. We talk with VPR reporters who have been covering the campaigns in Rutland and Burlington. According to a new study, Vermont’s education funding system has done a good job in reducing disparities in spending between property wealthy and property poor towns over the last 10 years.